Seven symphonies, twelve concerti, a ballet, six string quartets, three operas, and numerous song cycles and chamber works anchor the concert music of John Harbison's catalogue. Four large church cantatas and ten a cappella motets are part of his ongoing involvement with sacred music, along with the large-scale works Four Psalms, for the 50th anniversary of Israel's statehood, and his Requiem, a Boston Symphony commission. Abraham was composed for the Vatican conference on world peace and reconciliation in 2003. The 2018-2019 concert season marks Harbison's 80th birthday with celebrations throughout the country and around the world. Three major premieres, more than a dozen new recordings, his first book, and performances across the globe mark the occasion. Major citywide celebrations are taking place in Harbison's two hometowns of Boston and Madison. Last summer, festival appearances included Bach cantata programs at SongFest and Tanglewood, and composer residencies at new music festivals in Buffalo and at Bowdoin College. The violin Serenade and piano Nocturne, and a new song cycle In Early Evening, on texts of Louise Glück, all received first performances. John and Rose Mary Harbison again served as Artistic Directors of the Token Creek Chamber Music festival, its 29th season under their leadership. Premieres in the 2018-2019 season include What Do We Make of Bach for orchestra and obbligato organ, commissioned by the Seattle Symphony and the Minnesota Orchestra together with the Northrup at the University of Minnesota, with performances in October and March. Coinciding with the new organ symphony is Harbison's first book, a companion volume of the same title, collecting portraits, essays, and notes. The monodrama IF, on a text of Hölderlin, is a commission of Boston Musica Viva (October 2018), the Santa Fe Chamber Music Festival (July 2018) and the Chamber Music Society of Lincoln Center (2019-20 season). Harbison's Viola Sonata, commissioned by an anonymous admirer for a consortium of violists organized by Pro Arte Quartet violist Sally Chisholm, has its first performance in February. Other recent works include Psalm 116 (Chanticleer), String Quartet No. 6 (Lark Quartet, Fromm Players at Tanglewood, and Telegraph Quartet), Presences (cello and string quintet), A Bag of Tales (codas for piano), The Cross of Snow (in versions for viols with countertenor, and string quartet with mezzo-soprano), The Nine Rasas (clarinet, viola and piano), and Painting the Floors Blue (for violinist Jennifer Koh). Harbison's opera The Great Gatsby, a commission from the Metropolitan Opera, was recently revived at Semperoper Dresden, after the European premiere there of a new production last year, following performances in New York, Chicago, San Francisco, Aspen, Boston, and Tanglewood. New recordings in 2018-2019 include releases on Naxos, Albany, and Sony, including premiere recordings of Harbison's Requiem, the Double Concerto, Vocalism, Harbison's cadenza to the Beethoven G major piano concerto, Crossroads, the Sacred Trilogy, sixth quartet, bass concerto, Symphony No. 6, Milosz Songs, and the complete chamber works for oboe. A Life in Concert, a limited edition recording of John and Rose Mary Harbison together performing his works composed for her, was released on the Token Creek Festival label in 2018. 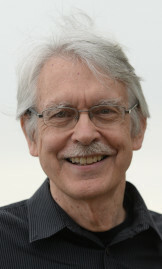 As one of America's most admired artistic figures, Harbison has composed music for many of its premiere musical institutions, including the Metropolitan Opera, Chicago Symphony, Boston Symphony, New York Philharmonic, the Chamber Music Society of Lincoln Center, Chicago Chamber Musicians, and the Orion, Emerson, Lydian, and Cleveland quartets. He is the distinguished recipient of numerous awards and honors, including the prestigious MacArthur Foundation award, the Pulitzer Prize, a Kennedy Center Friedheim Award, a Heinz Award, the Harvard Arts Medal, and the Hoblit Award from the Boston Symphony and Harvard University, coincident with the streaming-audio release of his complete symphonies by the Boston Symphony, derived from a survey of his symphonies conducted by James Levine, who commissioned and performed Harbison's music extensively over the last two decades. Harbison holds four honorary doctorates and was recently awarded MIT's Kepes Fellowship, and he holds both the Distinguished Composer and the Founders awards from the American Music Center. Harbison has been composer-in-residence with the Pittsburgh Symphony, Los Angeles Philharmonic, American Academy in Rome, Chamber Music Society of Lincoln Center, and at festivals including Tanglewood, Marlboro, Aspen, and Santa Fe. He has conducted the Boston Symphony, Los Angeles Philharmonic, the Scottish Chamber Orchestra, Handel and Haydn Society, Harvard's Bach Society Orchestra, the RAI chamber ensemble, the Cantata Singers, and the St. Paul Chamber Orchestra, serving there as creative chair 1992-94. From its inception in 1970 he has been part of Emmanuel Music in Boston, serving as Acting Artistic Director from 2007-2010, composer-in-residence 2012-2013, and continuing his almost fifty-year role as Principal Guest Conductor. Harbison was President of the Copland Fund for fifteen years, and a trustee of the American Academy in Rome. He is a member of the American Academy of Arts and Letters and is a Trustee of the Bogliasco Foundation. He received degrees from Harvard and Princeton before joining the Massachusetts Institute of Technology, where he is currently Institute Professor, the highest academic distinction offered resident faculty. He has taught composition at Tanglewood beginning in 1984, serving as head of the composition program there from 2005-2015, often also directing its Festival of Contemporary Music. He and violinist Rose Mary Harbison co-founded the Token Creek Chamber Music Festival in 1989, where they continue to serve as artistic co-directors. It was at Token Creek that in 2003 he began reviving his career as a jazz pianist, after a many-decades sabbatical, and in 2010 he founded MIT's Vocal Jazz Ensemble, for which he served as coach and arranger, and he is also pianist with the faculty jazz group Strength in Numbers (SIN). In these roles he is adding to his large catalogue of pop-songs and jazz arrangements. Rose Mary Harbison is the inspiration for many of John Harbison's works for violin, including the Violin Concerto, Four Songs of Solitude, Crane Sightings, and Violin Sonata No. 2. Mr. Harbison's music is published exclusively by Associated Music Publishers. A complete works list can be found at MusicSalesClassical.com.